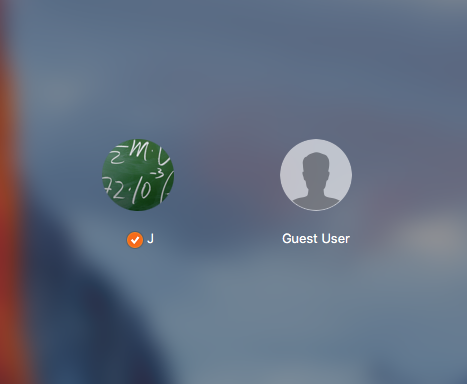 I’ve been using my MacBook for almost three years now, and it still bugged me that I wasn’t able to lock the screen with just a keystroke. I’m sure there’s some other post out there describing how to do this, but I couldn’t find it, so I am creating one. 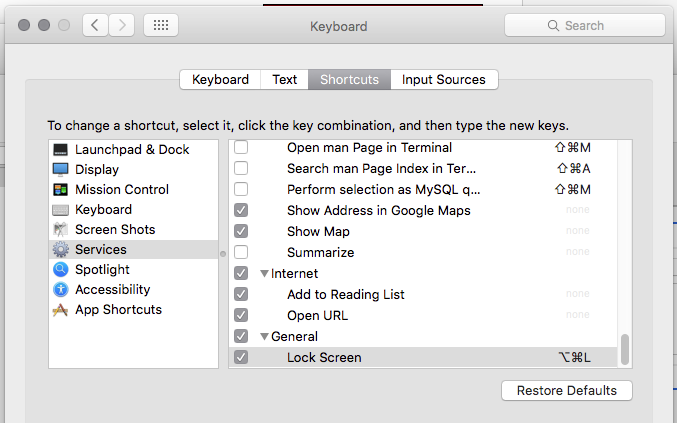 The method combines two posts I found, one that tells how to Lock the Mac Desktop from the Command Line, and one tells how to Create Your Own Keyboard Application Launcher via Automator. 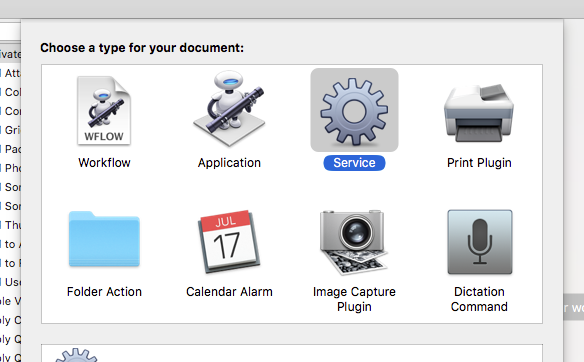 First, open up Automator and create a new Service. Then save the service. I saved mine as “Lock Screen”. Now open System Preferences and click on Keyboard. Once there, go to Shortcuts and click Services in the left column. Scroll to the bottom of the right column, and you should see your service under General. Click to the far right, then add your shortcut by hitting it on your keyboard. Once it’s set, test it out, be amazed. Recently I came across an amazing plugin named Advanced Custom Fields. This thing allows me to rapidly develop themes with clean, easy to use forms for custom fields. Those custom fields become the main content of front end layouts, much like my current About page. This plugin has the ability to have a JSON file that has your field structure in it, and if you update that file, it will ask you if you want to sync those changes. Well, since I am going to hide the plugin, and I want to just push updates to my clients, I needed a way to automatically sync the updates. So, I keep expanding my bag of tricks for WordPress, and one of the tricks I have is a media uploader that be placed in a meta box or in widget settings by just adding a couple lines of HTML, jQuery does the rest from there. The problem I ran into was when a new widget was added the click events were not bound to them, which is because the html for the widget is dynamically added, but you already knew that. Congrats, you have one less white hair today.